About 21.7 million people are expected to take a cruise this year, up from 21.3 million last year, according to data from Cruise Lines International Association. What’s more, nearly nine in 10 cruise lines report that they’ve seen an increase in first-time cruisers. But while cruising is the fastest growing segment of the travel industry, only about one in four Americans has ever taken a cruise. (Three in four Americans, meanwhile, have taken a beach vacation). And there are millions of people for whom the idea of taking a cruise has about as much appeal as organizing their sock drawer. “Some people feel they are too cool to cruise,” says Bob Lepisto, president of cruise line SeaDream Yacht Club. The cruise industry is concerned about attracting — and changing the minds of — the 75% of Americans who fall in the never-cruised set. “It’s a serious issue…they want to milk a few more passengers,” says Jack Plunkett, the founder of Plunkett Research. These passengers represent millions of dollars that the cruise lines are leaving on the table. “The U.S. market is not the long-term growth vehicle it used to be,” Plunkett adds. Here’s what cruise executives from Carnival CCL -0.03% , Royal Caribbean RCL +1.50% and more told us they’ve done recently to attract a new crowd. 1. Acts with names you’ll recognize. Twenty five-year-old travel specialist Kelly Yella says that cruises don’t really appeal to her age group because the entertainment tends to be dated (it’s true: millennials don’t exactly dream of Broadway shows and oldies-playing cover bands, which is the perception many have of cruise entertainment); others think there isn’t much to do beyond sunning and swimming. Indeed, both Royal Caribbean International president and CEO Adam Goldstein and Carnival Cruise Line CMO Jim Berra told MarketWatch that one of the main reasons the never-cruised set think they don’t want to cruise is that they are worried there isn’t enough to do onboard. But, says Goldstein, “that is a quaint notion.” Carnival will feature a record 49 concerts for travelers this year, with shows from Jennifer Hudson and Lady Antebellum, among others; Royal Caribbean brings Tony Award-winning musicals onboard like Chicago and Hairspray; and Norwegian is doing a The Grammy Experience cruise, which launched this year and features Latin Grammy Award winner Nestor Torres as a headliner. “These partnerships [with well-known acts] expose our brand to fans of the partners who may have not previously considered cruising, but will now because their ‘favorite brand or celebrity’ is affiliated with us,” says Marisa Scime, the director of social media and public relations for Norwegian Cruise Line NCLH -0.06% . Plus, the number of themed cruises has jumped from about 400 to 700 in the past three years, says Howard Miles, the founder of theme cruise listing site ThemeCruiseFinder.com. 2. Celebrity chefs and more food options. Many potential cruisers worry about lackluster buffets filled with warm, limp iceberg lettuce and sweaty American cheese. Indeed, Carnival’s Berra says that food is one of the main concerns that the never-cruised have about getting onboard for the first time — and that’s one of the reasons that Carnival has partnered with Guy Fieri to launch on-ship burger joints. Carnival isn’t alone: Norwegian now has a partnership with the Cake Boss and restaurants by Geoffrey Zakarian and Royal Caribbean with Jamie Oliver and Michael Schwartz. And last week, Royal Caribbean introduced what it calls “dynamic dining” — in which it is ditching the traditional dining experience (two dinner seatings) and offering a series of 18 smaller restaurants to pick from on their new Quantum of the Seas ship. It’s a move, Goldstein says, that is geared toward inexperienced cruisers (traditional cruisers, he says, seem satisfied with traditional dining options). Higher end cruise lines like SeaDream Yacht club focus on fare like raw food or gluten-free offerings, as well as mostly locally sourced menus. 3. 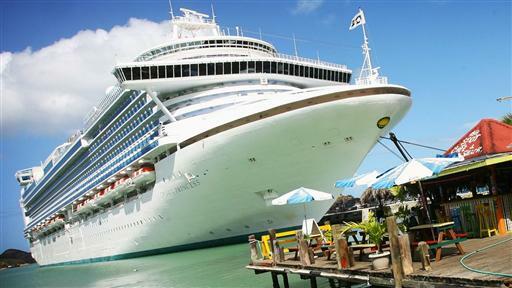 $32-a-night cruises and kids-sail-free promotions. Roscoe Mathieu, a 27-year-old writer living in China, says that “the #1 reason” he doesn’t want to cruise is the expense. “Cruises, to me, are big white ships full of old rich people reassuring each other that although they are visiting some exotic clime or other, they do not have to interact with the countries or peoples they visit in any way,” he says; for the money, he feels he can do better elsewhere. If you think cruises have bland food, screaming children, and viruses that spread like wildfire, cruise executives have a plan to change that. Catey Hill reports. Photo: Getty. Both Goldstein and Berra say that one of the big barriers to getting first-time cruisers is price. “People think it is more expensive than it is,” Berra says. So the cruise lines in the past year have thrown out some compelling deals. Carolyn Brown, the editor-in-chief ofCruiseCritic.com , says that this year’s unprecedented breadth of kids-sail-free deals — offered by Norwegian, Royal Caribbean, Azamara and Carnival — were designed to attract new cruisers. Indeed, Carnival’s Berra confirms that Carnival’s deal was intended to bring the never-cruised on board by making it more affordable for them to cruise. The deals weren’t just limited to kids-sail-free promotions. After the norovirus outbreak on Royal Caribbean earlier this year — these kinds of incidents tend to put off those who have never cruised more than old timers, surveys show — the cruise line offered up rates of $32 per person per night. And cruise prices overall hit near record lows last year amidst the bad press. Indeed, in May 2013 following the Carnival Triumph incident, 43% of consumers who had previously taken a cruise said they were “less likely to take a cruise now than a year ago” but that number jumped to 58% of those who had never taken a cruise. Carnival responded by offering a satisfaction guarantee — which it is still offering — that gave unsatisfied consumers a 110% refund — a move made in hopes of attracting new cruisers. “It’s designed to reassure people who say ‘I’ve never tried this before, what if I don’t like it,’” says Berra. Connecting to the web on a cruise ship has long been a pricey hassle. “Fifteen or twenty years ago, a staple element [of cruise lines’ messaging] was that cruising was one of the great ways to disconnect,” says Goldstein. “That message is unthinkable today.” But now, many cruise lines are scrambling to offer cruisers access to WiFi — an offering that Goldstein says appeals to new cruisers who don’t want to be disconnected for the duration of a cruise. Royal Caribbean, for example, is testing a new, faster Wi-Fi network on its Oasis of the Seas ships and says it hopes that by the end of summer it will be operable on three of its ships. Despite these moves, some of those who have never cruised say things like these won’t change their minds about cruising: just because there is a celebrity chef, music act and cheap prices doesn’t mean that the experience is up to their standards. Indeed, the hatred of cruises is so pervasive in some circles that there is even a cottage industry of cruise lines that are pitching themselves as an anti-cruise cruise line with things like smaller ships that house only a limited number of passengers (often 200 or fewer, compared with the thousand-plus on larger lines), more immersive shore excursions (you get off the boat for many hours and go to culturally significant or unique spots) and locally sourced foods or unique dining options. Un-Cruise Adventures (yes, the name is deliberate; the company changed it to that last year) is one of them, trying to appeal to travelers who aren’t interested in the traditional big ship experience, says Tim Jacox, the executive vice president of sales and marketing of Un-Cruise Adventures. The ships house a maximum of 88 guests and take people into remote areas — think inner river passages of Alaska — where larger ships can’t go. Another cruise line, SeaDream Yacht Club (notice the name doesn’t say cruise), says that its mission is to “deliver a cruise that’s like a yachting experience.” The ship is limited to 112 passengers, has a nearly 1 to 1 staff to traveler ratio, lets passengers stay in ports until late in the evening, and just began offering an entire raw food menu last year. Still, many objections to cruises are misconceptions, says Stewart Chiron, founder ofCruiseGuy.com . For example, there are many inexpensive cruise options, especially for those who can take advantage of last-minute deals, and the incidence of norovirus — while horrendous and certainly worth worrying about — is still rare on ships, as are accidents and mishaps. Plus, cruise lines like Carnival and Royal Caribbean have made a number of recent moves to make their ships safer. Due to all the bad advise that I constantly hear I have developed a new set of the “10 Commandments”. Please use this as a travel resource when booking your next vacation. Trust me……you will have a better overall experience and your money will go farther. 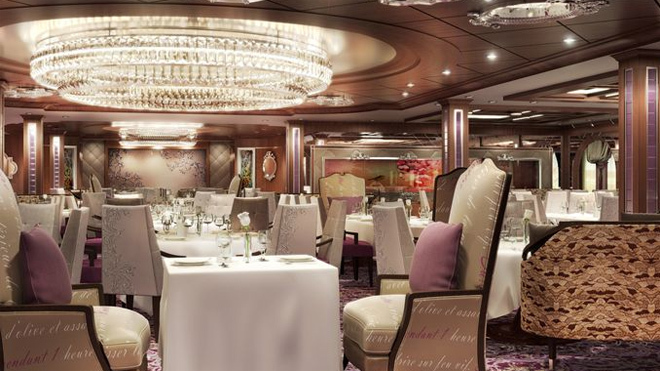 Quantum of the Seas and all her brand new dining room options. Royal Caribbean this week announced a new way of dining, ditching the traditional main dining room with assigned seating and replacing it with five restaurants where passengers can pick a cuisine of their choice. Called Dynamic Dining, it will be offered on the Quantum of the Seas, set to debut in November. While experienced cruisers appear perfectly happy with traditional dining, Goldstein said inexperienced travelers have the misconception that cruises are too regimented. So no longer will there be two seatings (at 6 and 8 p.m.) in a main dining room serving crowds nearly the half the size of a ship’s passenger population. Now, passengers will select a different dining spot every night, choosing one of the themed main dining rooms included in the cruise fare. From California-influenced to Pan-Asian fare, the five complimentary, full-service restaurants include a range of cuisines. Here’s a breakdown. The American Icon Grill is where you’ll find comfort foods selected from American cities from “sea to shining sea,” the cruise line said. Featured dishes will include New Orleans gumbo, New England clam chowder and Southern fried chicken. Chic will feature contemporary fine cuisine from fresh ingredients, offering “proteins that pack a punch.” Dishes include beef ribeye, lamb chops and Mediterranean sea bass. Entrée options will include dry aged steak, Maine lobster and veal Parmesan. The Grande features classic cuisine such as Beef Wellington, Chicken a l’Orange, Roasted Scallops and Sole Almandine. Coastal Kitchen is described as “where California cool meets the warmth of the Mediterranean.” The menu ranges from California favorites like sea bass ceviche, sliced avocado and blueberry pie to Mediterranean delicacies such as Serrano ham, goat cheese and roasted grapes. To help cruisers make reservations for these restaurants as well as many other ship amenities, Royal Caribbean is offering a new app that will work on cellphones and iPads during the cruise, or on the Internet before the cruise. The app will show real-time availability for the on-board eateries and let users make reservations. If the dining room has ample space available, the app will show that, too. Cruisers can also use the apps to reserve shore tours and spa appointments. The app’s main goal is to attract first-time cruisers, including skeptical Millennials. “In the old days,” Goldstein said, “we sold escape from the outside world. 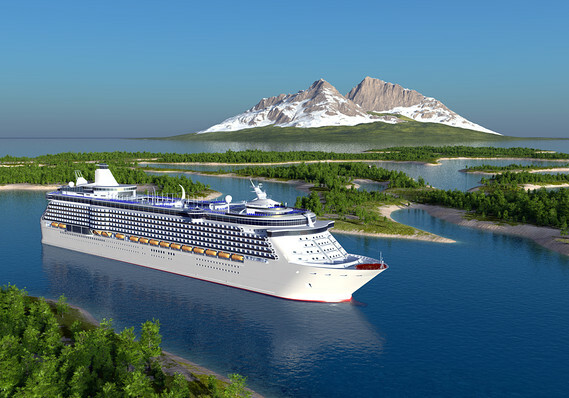 But today’s younger travelers want full-time access to the Internet.” Along those lines, Quantum will feature a new broadband technology for cruise ships, currently being tested aboard the line’s largest ships, Oasis and Allure of the Seas. Of course, the app is not the only way to make reservations. More traditional cruisers can still use the telephone, access menus on their stateroom television or consult one of the “wayfinders” – navigational interactive touch-screens located throughout the ship. In addition to the five main dining restaurants, there are seven specialty dining spots that feature fare from celebrity chefs. These aren’t complimentary, and service charges vary. Wonderland, open for dinner only, is described as a “culinary kaleidoscope.” In a demonstration given in New York on Wednesday, the line treated guests to a soup with Vanishing Noodles and a Chocolate Olive Fizz in a cellophane wrapper that disappears in your mouth. Other items included Sriracha eggs that appear in a plume of smoke and flash frozen ice cream atop tender pork belly. Michael’s Genuine Pub is the brainchild of James Beard award-winning chef Michael Schwartz. 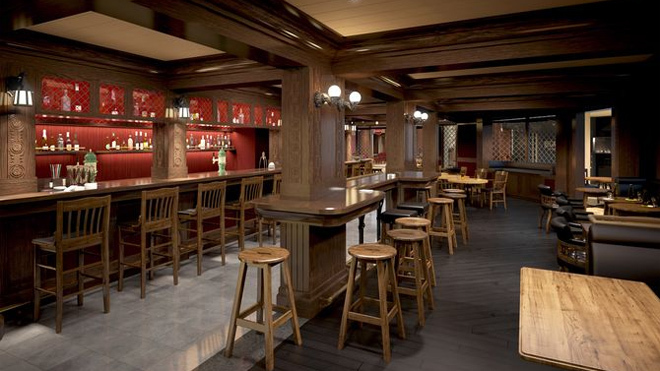 Along with craft beers and the ship’s own classic American ale, the gastropub will offer pub-style snacks. It’s open for lunch and dinner. Jamie’s Italian, open for lunch and dinner, features British chef Jamie Oliver in his first cruise ship eatery. The menu will feature mostly rustic Italian fare along with a few surprises, such as Pumpkin Panzerotti and Zingy Prawn Linguine. 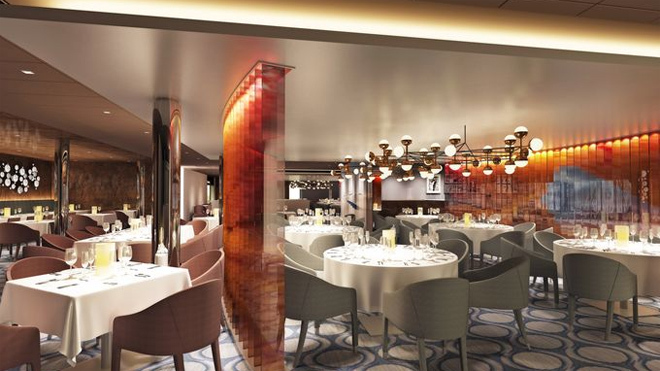 Devinly Decadence, despite its misleading name, will offer fresh spa cuisine for breakfast and lunch plus an upscale dinner experience similar to the Solarium Bistro on the Oasis-class ships. The fare is inspired by Devin Alexander, the best-selling cookbook author and chef on NBC’s The Biggest Loser. It is complimentary during breakfast and lunch; there is an extra charge for dinner. 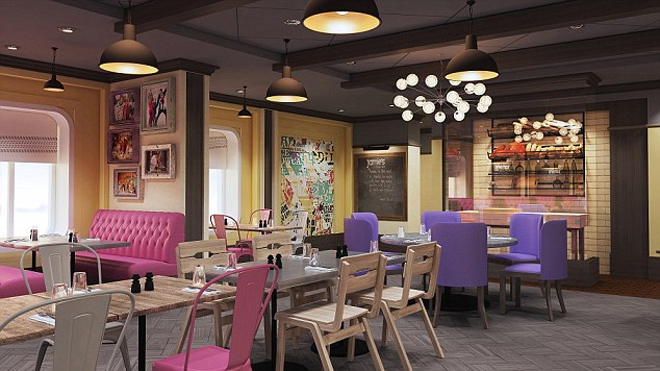 Chops Grille is already a well-known Royal Caribbean dining spot featuring the best in steak and other cuts of meat. Options include filet mignon, braised short rib, roasted organic chicken and dry aged steak burger. This is open for dinner only. Izumi Japanese cuisine begins with vegetable tempura or shrimp gyoza dumplings, and entrées include mixed seafood, beef tenderloin and chicken or beef skewers. This is for lunch and dinner only. The Chef’s Table is a limited special dinner with the best gourmet food and wine or aperitif pairings with every course. This is the most expensive meal offered on the ship, and reservations are required, as well as formal dress. There are generally six to eight courses, including appetizers like foie gras, truffles risotto or lobster bisque and main courses including lamb cutlets or filet mignon. The last three dining spots include the Windjammer Marketplace, a new name for the Lido Café found on most cruise ships. On the newer cruise ships, cafeteria-style lines have been replaced by dozens of serving stations offering individual portions of various styles of food. One of the most talked-about new public rooms coming to Quantum is the large combination lounge in a showroom named Two70° (pronounced “two-seventy degrees”). This room will feature a gourmet marketplace menu featuring salads, soups and hot pressed sandwiches, similar to what you find in upscale urban grocery stores. Finally, Royal Caribbean says Quantum of the Seas will be the first cruise ship with a hot dog stand, known as the Seaplex Dog House. There is no charge for the hotdogs, or the onions, mustard, relish and sauerkraut you’ll want to pile on top of them. 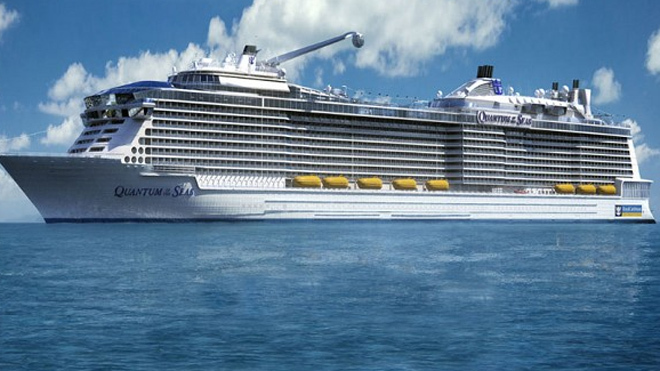 Quantum of the Seas will be the first modern cruise ship without a main dining room. Other cruise lines like Norwegian have been offering anytime, multi-venue dining options on their ships for decades, but they have always offered complimentary traditional dining rooms, as well. Will this be enough to bring cruise virgins to cruise ships? Goldstein believes it will, and he promises even more surprises to come on the Quantum of the Seas.